First posted in the April 2018 edition of The Club, the in-flight magazine of British Airways. BA kindly shares its articles with responsible bloggers. 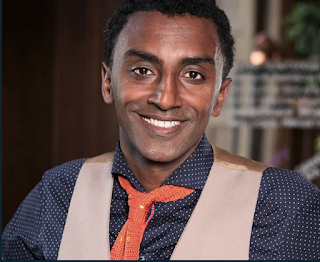 Chef and restaurateur Marcus Samuelsson is the force behind stand-out restaurants in New York, London, and Stockholm. The Ethiopian-born chef – who grew up in Sweden before moving to America to hone his craft – was the man tasked with creating Barack Obama’s first state dinner. Here, Samuelsson shares his foodie tips for a break in Stockholm. Fika is important in Sweden; it’s a social thing, where you have tea or coffee, a snack and a chat, a bit like going to the pub in England or a wine bar in Spain or Italy. It isn’t really about being hungry or thirsty, but about catching up with friends. Traditionally fika takes place in small coffee shops, but with the arrival of chains in Stockholm, many places have evolved so restaurants also become fika spots and vice versa. For an elegant fikaexperience, I love Taverna Brillo, which has a modern bistro feel. Order a kanelbuller – a semi-sweet cinnamon bun – then chat with friends and people-watch from one of the window tables. 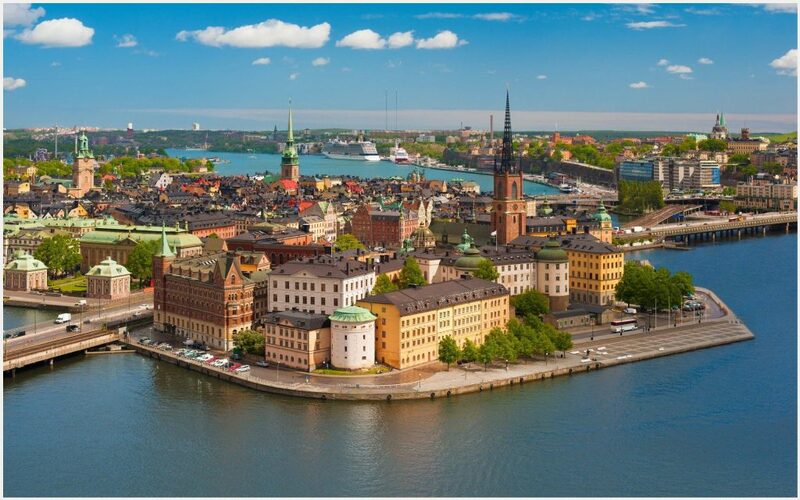 Stockholm is a true walking city, with nature, water and beautiful old buildings all around you. Take it all in on a stroll to Östermalms Saluhall. Open since 1888, it’s one of Stockholm’s oldest markets and the place for Scandinavian delights – think classic herring and gravlax (dill-cured salmon). Choosing different bits and pieces to nibble on here is a guaranteed delicious way to start the day. For the setting, book a table at Asiatiska in the Berns Hotel. The building itself is rather grand, as is the dining room. Lunching beneath a huge, glittering chandelier feels like being transported back to the Stockholm of the 1920s. 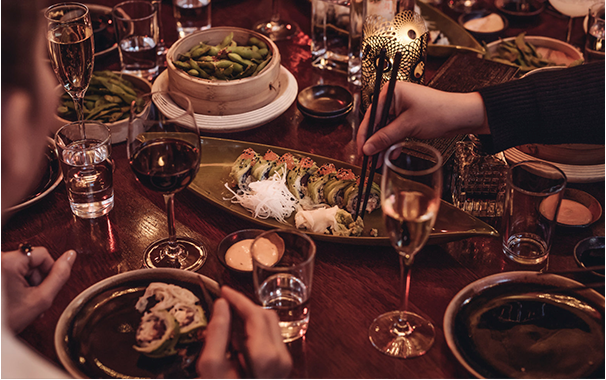 What’s bizarre and brilliant is that the Asian cuisine – they do great sushi – is such a contrast to the Swedish surrounds. It makes you wonder, ‘Where am I?’. For an occasion dinner or important business meeting, nowhere beats legendary chef Mathias Dahlgren’s Rutabaga inside The Grand Hotel. It’s a forward-thinking vegetarian restaurant. 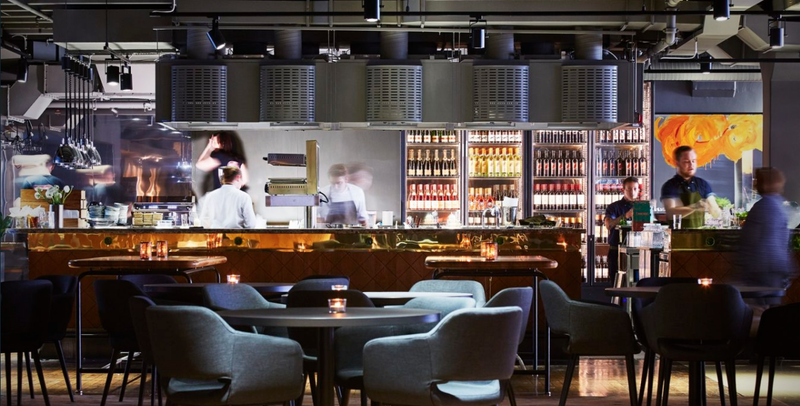 Dahlgren was one of the first chefs in Stockholm to elevate vegetarian food to the next level, and despite being inside one of the fanciest hotels in Sweden, the atmosphere here is laid-back, casual and friendly. 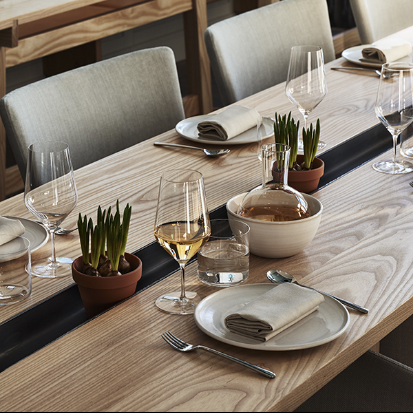 Opt for the tasting menu – at the moment you’ll find dishes such as tartar of beetroots and porcini mushrooms with carrot and elderflower-smoked creme fraiche, and sauteed cabbage with hazelnuts, grilled cream and truffle – but it changes seasonally. Walking through Södermalm or Söder, the area has a vibe similar to Brooklyn or Shoreditch. There’s a lot of creative energy here that translates to cool design shops, independent clothes stores and galleries. After that, wander to the old town, Gamla Stan; it’s particularly romantic at night when twinkling lights brighten the tiny streets. Head to Corner Club a cocktail bar from well-known chef Björn Frantzén, for a theatrical experience. The bartenders shake up innovative drinks such as Need A Vacation, which blends gin with Belsazar rosé vermouth, maraschino liqueur, lime, grape and soda. I have to blow my own trumpet here: Tap Room, at my restaurant Kitchen and Table is a real temple to the bar, with a 1960’s vibe and mixologists who know their craft. Sure, you can order a Margarita or Manhattan, but the beauty is trying a one-off. Seasonal infusions are key, so in spring locally made gin might be infused with lavender, in autumn with roasted apples. The infused spirits form the starting point for many unique cocktails. My year-round favourite is the Jackie Onassis: gin, lime, grape and white pepper with Champagne. It’s sour, herbaceous, with a hint of citrus and served with a big, fat ice cube. 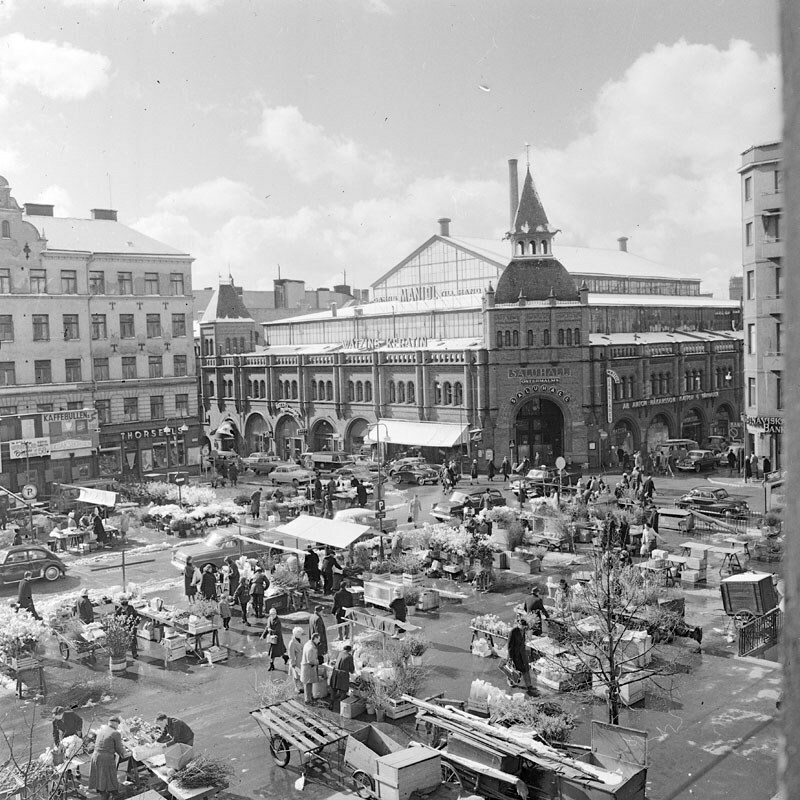 If you want to eat fast, but not fast food, try Hötorgshallen, a food market that reflects Swedish immigrant culture. You’ll find dishes from all over the world: tasty empanadas, meats from an Argentine butcher and an amazing kebab stall. It’s brilliant to have so many different influences and flavours in one place. A loaf of traditional bread. You can find so many different types of bread here done well, from baguettes to brioche, but you’d be missing a trick to not bring back the real Stockholm rustic rye bread. The darker the better is my tip. Buy it at Östermalms Saluhall, because traditional Swedish fare is what they do best. Marcus Samuelsson is the chef behind Kitchen and Table in Stockholm, Red Rooster in Harlem and Shoreditch, as well as newly opened Marcus B&P in Newark, New Jersey. Source: British Airways The Club magazine, April 2018. Note: many images were added by www.pillartopost.org daily online magazine.